Neat Stuff! Catching up on What’s New! Talk about UN-romantic! Shuffling through the house with my left arm immobilized in a sling and feeling fuzzy because of pain killers – shoulder surgery is not for sissies! However, it has allowed me to take some needed down time and in that time catch up on the stack of mail, TV shows and magazines that I’ve been meaning to get to, but couldn’t bring myself to sit down and enjoy. 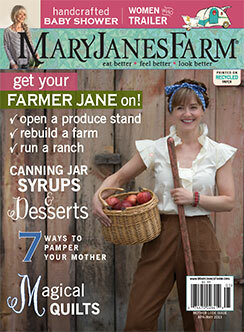 I was way behind on my MaryJanes Farm editions and that’s too bad because it’s a great magazine to de-stress with; I almost feel guilty stealing time to spend with it. However, the “Newsroom” section in this gem abates my guilt by providing me with useful information that can really help people and the planet. Like the new April-May 2013 issue, that, on top of the lovely quilt article, fun “clamping” article, interesting edible flowers article and other cool stuff, provides some serious news on the nasty stuff that’s allowed in our food here in the U.S. but isn’t in other countries. See page 34 and carry the list with you to the grocery store! You will want to read labels and avoid so-called “food” products with these items in them! This is one of those products that makes you wonder “Now why didn’t someone invent and market this BEFORE NOW ? !” I mean REALLY! Everyone – parents, grandparents and the government gets all worked up about putting kids in car seats, but what about when the child outgrows the car seat? He or she is still too small to properly wear a regular car seatbelt, which, by the way, is regulated in the U.S. car industry by the U.S. government to fit the 50th percentile male (5′ 8″ tall & 172 pounds). That’s only about 25% of the population! If you are not a 5’8″ 172 pound guy, you are going to have an uncomfortable and potentially dangerous ride using standard in-car seatbelts. 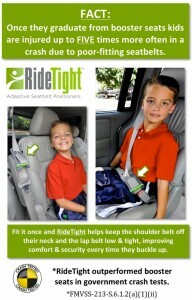 We at A Romance Renaissance give this inventor and product a “thumbs up” because nothing is romantic about a child or small person getting hurt in a car crash because the seatbelt doesn’t fit …! P.S. 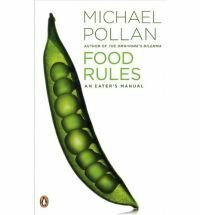 I haven’t reviewed the “illustrated edition” of Food Rules yet but imagine it’s just a more “fun” version of the pocket manual I read. Previous post: Cherry Blossoms Finally Bloom in D.C.
Next post: Spring is (Finally!) Springing!